Blog: MEB Design Cotswolds Team Building Days - MEB Design Ltd.
MEB Design are freshly back from their enjoyable team building days in the Cotswolds. 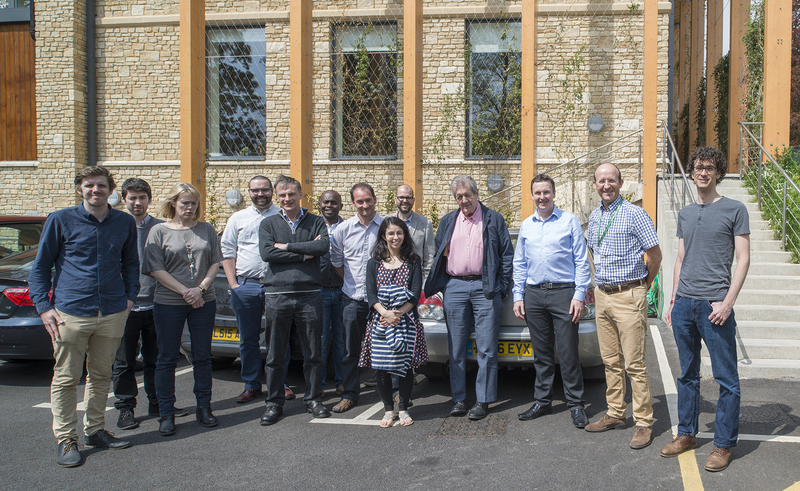 We all came together from our three offices in Oxford, London and Kent at Beaudesert Park School just outside Minchinhampton. We began with a tour of the Performing Arts Centre designed by MEB and shortlisted for the RIBA South West Awards 2016. Since the sun was shining we made the short walk across Minchinhampton Common to the Old Lodge where a fantastic lunch was awaiting us. In the afternoon we sat down for a session on BIM model sharing and protocols, project presentation documents, and a project management questionnaire. 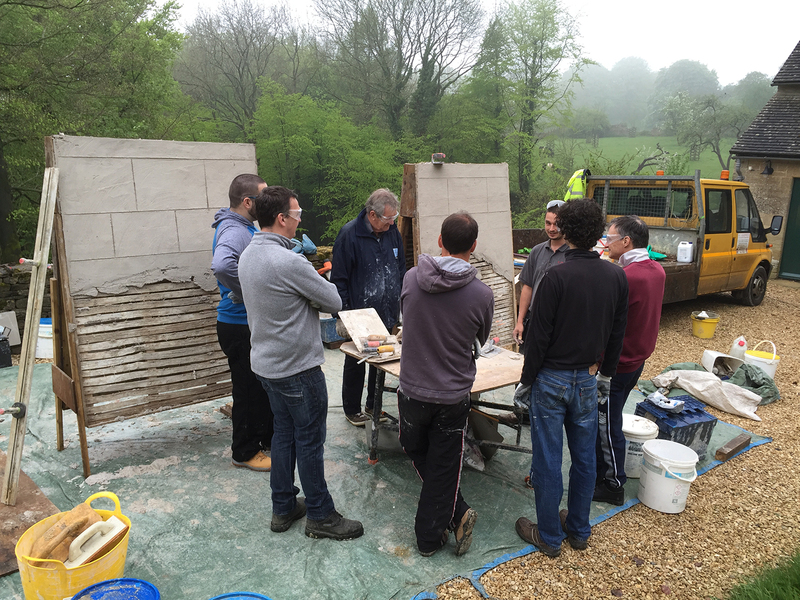 On the second day we traveled to the National Trust Estate called the Old Ebworth Centre to take part in a “historic building restoration” activity working with lime mortar and plastering. 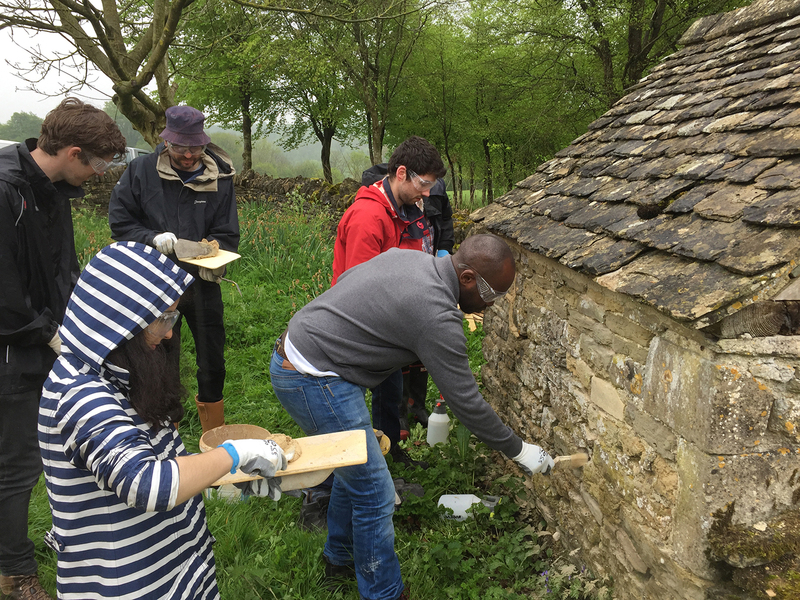 The activity was organised by the Cotswolds Conservation Board and our course was taught by the lime specialist M.J.Hardwick . After an introduction to and history of working with lime we split up in to two groups to practice the techniques ourselves. Lime plastering was a good work out for the team spreading the plaster over the lathes before leveling it out. A small stone out-house was selected to receive our mortar re-pointing skills. Here we learnt about the various pointing techniques and profiles. The day was rounded off with the incredibly messy technique of hand harling render on to a practice wall. Before we knew it, the time had come to clean ourselves off and sadly make our way home. Thankyou to MEB Design for a fantastic trip!